Following the 2011 European Wine Bloggers Conference in Brescia, I spent 3 days in a beautiful and exciting location: In the Chianti Classico region in Tuscany, at the invitation of the Chianti Classico Consortium. We visited several wineries and tasted perhaps as many as 70 different wines from Chianti Classico producers, both big and small. While in Tuscany, I dined and wined (1) with the Chianti Classico Wine Consortium at the Santa Maria Al Prato Convent in Radda in Chianti, at (2) Badia a Coltibuono, at (3) Castello di Brolio, where Bettino Ricasoli came up with the original Chianti Classico blend, at (4) Castello di Ama, where we saw an amazing Contemporary Art Collection, at (5) Vignemaggio, where Leonardo da Vinci’s Mona Lisa was borne, at (6) Dario Cecchini’s Solo Cicca Restaurant in Panzano and (7) at Caparasa, with Chianti Classico niche wine producer Paolo Cianferoni. The Chianti Classico region covers an area of approximate 100 square miles between the city of Florence in the north and the city of Siena in the south. Historically, the Chianti Classico zone is where the production of Chianti started. In 1716, Cosimo III de’ Medici, Grand Duke of Tuscany, issued an edict legislating that the 3 villages of the Lega del Chianti, the village of Greve and a 2 mile hillside north of Greve as the only officially recognized producers of Chianti. This delineation existed until the 1930s when the Italian Government expanded the zone. Subsequent expansions throughout the twentieth century would bring the Chianti zone to cover almost all of Tuscany. The original zone of the edict of Cosimo III de' Medici would eventually be considered the heart of the Chianti Classico region. The Chianti Classico zone is a truly unending source of culture, scenery, architecture, gastronomy and wines. Here lie the lines of defense of the two Republics, Siena and Florence, which have scowled at each other through its woods and vineyards for centuries. Interspersed with the countryside are castles: some are still occupied by the noble families whose ancestors built them in the feudal middle ages; others - ruined, perhaps in battle centuries ago, and abandoned - still dominate their hilltops with proud arrogance. There are numerous hill towns and hamlets, villas and farmhouses, guarded by sentinel cypresses, by people who may make their living tending the vineyards, or have already made more than a living and have retired to beautiful old houses. Be aware that the British, German, Dutch, Swiss, French and Hong Kong have bought up much of the Tuscan landscape. They too have become wine makers with a vengeance. Sangiovese is the signature grape of Chianti. It is the soul of Chianti wine. The Sangiovese grape, like the Pinot Noir, is not an easy grape variety, but has the potential of producing world class wines. Since 2006, the use of white grape varieties such as Malvasia and Trebbiano has been prohibited in Chianti Classico. The share of Sangiovese can range from 80% to up to 100%, with the remainder either other native red grapes, like Canaiolo and Colorino, or international varieties, such as Cabernet Sauvignon and Merlot. Wines that do not comply with these rules – of which we tasted a number during the trip - cannot be sold as Chianti Classico, though produced in the same area. With 12 hectares of vine, the Caparsa Estate is a small winery close to Radda in Chianti. Of the potentially about 60.000 bottles of wine, it markets only 20.000 bottles and sells the rest in bulk. Chianti Classico niche wine producer Paolo Cianferoni explained: "We only bottle a third of our production making only a Riserva. 2/3 of our production is sold to large companies, so we have 20,000 bottles to sell. These are sold either locally or exported to small importers. If I had to sell all my grapes as bottled wine, I would have to change the whole structure." As in many vineyards of the area, olive oil is also proudly produced. Paolo Cianferoni and his partner Gianna have been running Caparsa since 1982. A hands-on man, Paolo's hands are everywhere at once, planting, picking, labeling, bottling, pricing, selling. Gianna works along side Paolo, indulgent of her husband's restlessness. Together they live their lives in harmony with the environment, Italian peasant culture, the world of wine and their 5 children. The Cianferoni family bought the estate in 1965. Initially it was run by Paolo's father – Reginaldo Cianferoni – a professor of economics and politics at the University of Florence. The estate for many centuries was the property of one of the greater noble families of Radda in Chianti who entrusted the estate to the share-cropping contract (division of the products half and half between the land-owner and the peasant families who worked the estates. Drawing on vines growing at an altitude of 450 meters, the Caparsa Estate produces several different wines. Chianti Classico Doccio a Matteo Riserva – one of the two flagship wines; always made as Riserva; matured in barriques; bottled 27 months after harvesting; 100% Sangiovese; he currently sells: 1999, 2003, 2004, 2005, 2006 and 2007. Chianti Classico Carpasino – the second flagship wine, mainly Sangiovese, but also Canaiolo and other grapes; depending on the year made as Riserva; matured in casks and barrels; he currently sells 1998, 2003, 2004, 2005, 2006, 2007. The two flagship wines are not filtered and the estate’s production philosophy emphasizes special respect for the environment. Paolo: "We have been certified since 2005. My father used chemicals. I moved towards organic viticulture in stages. Organic viticulture encourages complexity, while the use of herbicides etc. simplifies wines. The problem with biodynamics is that it has a priest!" Vino Rosso di Caparsa - a tavolo (table) wine made from Sangiovese,Canaiolo, Trebbiano and Malvasia. It is light on the mouth and the pocket. Sold in 5 liter bottles for Euro 13 per bottle. Vino Bianco di Caparsa - a white wine mix of 50% Trebbiano and 50% Melvasia using only the first pressed juice (no skin). Sold in 5 liter bottles for Euro 13 per bottle. Vin Santo – Paolo made a vin santo in 1997 and still has it in his portfolio. Vendemmia Tardiva – Paolo made late harvest wine in 2003; the grapes were affected by noble rott. Paolo does not produce Super Tuscan wines. Paolo poured two vintages of Chianti Classico Doccio a Matteo Riserva us, the 2007 and the 2000. Both are delicious; inaddition, the 2000 showed how well Chianti Classico wine can age. 98% Sangiovese + 2% Colorino; Maturazione: 16 mesi in fusti da 225 e 550 litri di rovere Allier. Fermentazione: Spontanea, con lieviti autoctoni, per circa 14 giorni. Bright garnet color; classic cherry nose with hints of leather and spices, soft textured mouthfeel, fruity finish, very attractive and elegant. 90% Sangiovese, 5% Colorino, 5% Ancelotta; Maturazione: 2 anni in Tonneau di 500 litri di Troncais, Allier, Vosges, Americano, Ungherese. Fermentazione: Spontanea, con lieviti autoctoni, per circa 12 giorni. Purple color, vibrant fruit, more structured with firmer tannins than the 2000. Weingut Robert Weil produces only Riesling, both in the dry and in the fruity-sweet and noble-sweet styles. It is without any doubt the Rheingau’s flagship winery. It was founded in 1875 and is currently managed and co-owned by Wilhelm Weil. Weingut Robert Weil wines represents at its best what German wine is known for in the world: classic Riesling wines. By contrast, Weingut Markus Schneider is a new winery, founded only a few years ago. Wine maker Markus Schneider is one of Germany’s shooting stars, who has made himself a name within a short period with innovative, non-traditional wines, in particular new-world-style red wines. Thus, at the Grand Cru dinner, we had the opportunity to taste the wines of the representatives of two camps: (1) Weingut Robert Weil, 100% Riesling, a world star when it comes to dry, fruity sweet and noble sweet Rieslings, with a long tradition and (2) Weingut Markus Schneider, presenting the international grapes Sauvignon Blanc, Syrah and Merlot, unknown in Germany a few years ago that can compete with any such wines from anywhere in the world; a young innovative wine maker, producing non-traditional, new-world-style wines in Germany. These top wines accompanied a delicious menu created for us this evening by Chef Michael Amerswald. During the evening, I was reminded of a conversation that I had a few months ago with German wine expert Phil Bernstein from MacArthur’s Beverages in Washington DC. The German Wine Society had invited Lindsay Morris, who had done a master thesis about the future of German wine in the US. She argued that Germany should branch out and promote its non-traditional wines, such as red wines, which now accounts for one third of Germany’s wine output. Phil took the opposite position: Germany should not branch out, it should focus on where its comparative advantages are and do what nobody in the world does as well as Germany – produce Riesling. Over the past couple of years, I have regularly dropped by the Grand Cru Wine Bistro (Weinrestaurant) in Frankfurt’s Sachsenhausen district, whenever I was in Frankfurt. There is perhaps a handful of brasserie/bistro type restaurants with a strong wine menu in Frankfurt am Main. Kai Buhrfeindt’s Grand Cru is one of them. The excellent food, the large, well chosen and ever changing wine list – with about 300 wines by the bottle and by the glass - and the French brasserie/bistro atmosphere of Grand Cru always bring back fond memories of the 3 years which I spent in Paris. The expertise and the passion for wine and food of owner Kai Buhrfeindt – a Staatlich gepruefte Weinnase (a government certified wine nose) - shows clearly and everywhere at Grand Cru. The vineyards are planted 100% with Riesling. The estate’s dedication to Riesling since 1875 has led numerous observers of the international wine world to regard Weingut Robert Weil as a worldwide symbol of German Riesling culture. A Riesling wine of the 1893 vintage, grown on the Gräfenberg site, made the estate famous. The imperial Habsburg court in Vienna purchased 800 bottles of this wine at a price of 16 gold Marks per bottle in 1900. The 1920 vintage of the Kiedricher Gräfenberg Trockenbeerenauslese is described as a Zeppelin wine, as it was served on board the LZ 127 „Graf Zeppelin” dirigible on its circumnavigation of the world in 1929. At the end of the 12th century, the renowned site was first documented as “mons rhingravii” (literally, the hill of the Rhine counts) and in 1258, was named “Grevenberg.” To this day, Gräfenberg has remained a focal point. The record prices it fetches at auctions bear witness to the site’s renown. Kiedrich Klosterberg: The name Klosterberg (literally, monastery hill) derives from “Closterweg,” the old path that ran through this vineyard in Kiedrich en route between the monastery Kloster Eberbach and its mill near Eltville. The shallow to deep stony-gritty soils of the southwest facing site are of Devonian (colored slate) and pre-Devonian (phyllite and sericite gneiss) origin, and are mixed with gravelly loess. Weingut Markus Schneider is in Ellerstadt in the Pfalz. Markus Schneider learned how to make wine at Weingut Dr. Buerklin-Wolf in the Pfalz from 1991 to 1994. His father - Klaus Schneider – had grown grapes for many years as a member of the local wine cooperative, before leaving the wine co-operative and founding his own winery in 1990, with the view of setting up a winery for his son Markus. For years later, Markus took over and 1994 was the first vintage made by and bottled under the name of Markus Schneider. In the following years, Markus Schneider increasingly shifted to making blends, based on international grape varities, such as Sauvignon Blanc, Syrah and Merlot, that were a novelty for Germany. At the same time, the wines were marketed with non-traditional, modern labels and wine names; these wines became increasingly appealing for young and hipp wine consumers. Markus Schneider markets all his wines as QbA, without any reference to the predicate level (that have been dominating German wine classification for decades) and without any reference to the vineyard(s) were the grapes come from (moving away from the terroir principle that has become increasingly important for trational German wine producers). Here are some of Markus Schneider’s wines: Blackprint, Rotwein Alte Reben, M Spaetburgunder, Tohuwabohu, Chardonnay, Riesling and Kaitui. In 2003, Markus Schneider was voted Newcomer of the Year by the Feinschmecker and in 2006, Discovery of the Year. Within only a few years, Markus Schneider had shot to the top echelons of the German wine industry and established a solid position. Since 2007, Weingut Markus Schneider is in the 3 (out of 5) grapes category of Gault Millau. Markus Schneider owns and leases vineyards. In addition to warmer vineyards in the valley around Ellerstadt, Weingut Markus Schneider also owns/leases vineyards in higher and cooler regions on the edge of the Haardt Mountains. The approximately 50 hectares of vineyards spread over the following varieties: Weiße Rebsorten: 30 % Riesling, 8 % Weißer Burgunder, 5 % Grauburgunder, 5 % Chardonnay, Sauvignon Blanc and Rote Rebsorten: 12 % Spätburgunder, 12 % Blauer Portugieser, 10 % St. Laurent, 5 % Merlot, Syrah, Cabernet Sauvignon, Cabernet Franc, Cabernet Mitos. Markus talked a bit about how he makes his wines. He likes concentrated, fruity wines with intense aromas. Markus told us that he achieves this through strict yield limitation, late harvest and vineyard work focused on the physiological maturity of the grapes. This was a spectacular evening with the outstanding food of Chef Michael Amerswald and the spectacular wines of Wilhelm Weil and Markus Schneider, all very well orchestrated by Kai Buhrfeindt. The Markus Schneider Kaitui is a tribute to New Zealand which is well known for its Sauvignon Blanc. Kaitui means Schneider in the language of the Maori. Markus Schneider: “This is a very early bottling. The wine was fermented in stainless steel and also (starting with this vintage) also on large oak barrels.” A very fruity, lush, very much new world style Sauvignon Blanc. Wilhelm Weil: “2002 was an average year, a bit on the cool side. By contrast, 2007 is view as a vintage of the century.” The 2002 showed a lot of minerality and was very fresh. Intense peach notes in the finish. The 2007 was lush, oily and ripe, but already showing some hints of aging. The Merlot and the Syrah: Both very concentrated, fruity, new-world-style wines, with intense aromas. Innovation des Jahres: 2009er Syrah "Made in Germany" vom Weingut Markus Schneider. "Die Rebsorte Syrah ist ein neuer Import aus dem französischen Teil des Rhônetals, der nur dank der Klimaerwärmung bei uns Einzug halten konnte. In Übersee wird er meist als "Shiraz" vermarktet, und der erste Rotwein aus dieser Sorte des Pfälzer Jungwinzer-Phänomens Markus Schneider hat eher die Üppigkeit eines Überseeweins. Hier geht es jedoch selbstbewusst um "made in Germany". Der Duft des Weins (29,50 Euro ab Hof, Telefon 06237/7288) verbindet warme Aromen wie reife Brombeeren, Bitterschokolade und Gewürze mit kühler Kräuterfrische. Trotz des Riesenkörpers schmeckt man den Alkohol kaum, und die Gerbstoffe wirken fast wie Kakaopulver auf der Zunge. So etwas gab es noch nicht "made in Germany"." A sweet-style Riesling Auslese. While 70% of Weingut Robert Weil’s wines are fermented dry, the reputation Weil wines have in the world are due are to a large extent to the world class fruity-sweet and noble-sweet Rieslings. Robert Weil’s top botrytis wines are sold today at extremely high prices - they are among the most expensive in the world. The current world record (in 2006) is held by a 1999 Weil Trockenbeerenauslese, at DM 5.000 (EUR 2500). This is a prime example for what kind of fruity-sweet and noble-sweet Rieslings Wilhelm Weil is able to produce. Intense and rich, long finish. Grand Cru's Kai Buhrfeindt in Frankfurt am Main Recommends "schiller-wine"
Rhinewine is a popular term in the wine world. In its broadest interpretation it means a wine from a wine region in the Rhine valley – Alsace in France or Baden, Pfalz, Rheinhessen, Rheingau, Mittelrhein in Germany. Using a narrower concept, it is a wine from one of the 3 German wine regions that include the world Rhine in their name – Rheinhessen, Rheingau, Mittelrhein. In its most narrow concept, it means a wine from an island in the Rhine river. The wines of Mariannenaue – an island in the middle of the Rhine river in the Rheingau area – are the only wines – as far as I know – that meet the criterion of the most narrow definition: wine from an island in the Rhine river. I visited Mariannenaue with the Weinfreundeskreis Hochheim. The Mariannenaue island is owned and operated by the Weingut Schloss Rheinhartshausen. Although the Rheingau is one of Germany’s smaller wine-growing regions, its 3,100 ha (7,660 acres) of vineyards are vastly diverse in their geological makeup. The soil varies from stony slate at the western part near the villages of Assmannshausen and Rudesheim to loess, sand and marl in the lower central villages of Geisenheim, Johannisberg, Winkel, Oestrich and Hattenheim. Soil reverts to stony phyllite in the higher central and eastern villages of Hallgarten, Kiedrich and Hochheim. Generally, wines from the lower slopes where the soil is heavier—sandy loam and loess—produce fuller wines, while at the higher slopes where it is more stony and slatey, the wines reflect more minerality, elegance and concentration. The Rheingau enjoys a distinctly continental climate with cold winters and warm, but not hot, summers. The Rheingau – unlike any other region of the world – is associated with Riesling and nearly 80% of the Rheingau’s cultivated vineyards are planted with Riesling. 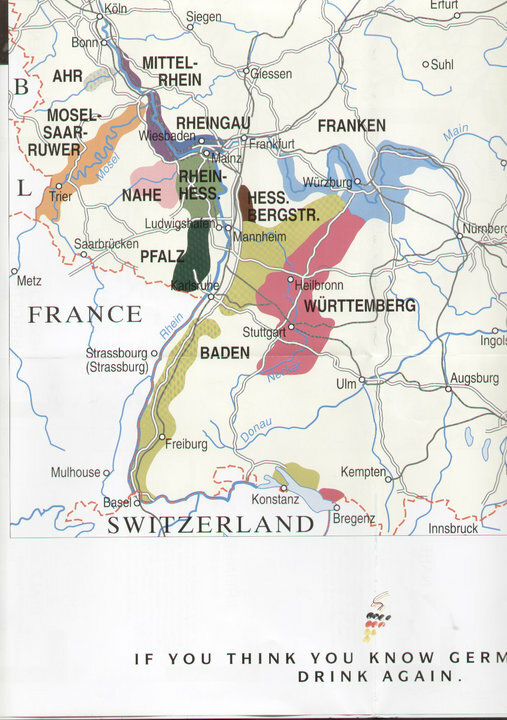 The Rheingau is home to about 7% of the world’s Riesling vineyards. Pinot Noir accounts for 1/10 and is concentrated around Assmannshausen. The full name of the Weingut is „Administration Friedrich Prinz von Preussen Schloss Reinhartshausen”. It is located in Erbach in the Rheingau. A 5-star hotel is also operated on the premises. Wine has been produced at Weingut Schloss Reinhartshausen since medieval times. At Schloss Reinhartshausen, over the following centuries, various aristocratic owners came and went. There, were today is Schloss Reinhartshausen, was in the 12th century the Castle of the Ritter von Erbach. For many centuries, Schloss Reinhartshausen belonged to the Knight of Allendorf. In 1800, the counts of Westphalia purchased the property from Freiherr Langwerth von Simmern and built the „Alte Schloss” (old palace). In 1855, Princess Marianne von Preussen, of the house of Nassau-Orange, purchased the property, and added a museum building, used to make her collection of art accessible to the public. Her son Albrecht von Preussen inherited the palace and wine estate in 1883, and it continued to be passed on to the next generation in the Prussian royal house. In 1957, ownership passed to Prince Friedrich von Preussen, son of the last German crown prince. The palace was re-created as a hotel, and expanded until 1991. In 1998, Willi Leibrand, founder of the large REWE supermarket chain, bought the run-down Schloss Rheinhartshausen with the vision to bring it back to previous hights. August Kesseler, one of the fathers of the German red wine revolution – with Chef Joachim Wissler – was hired to implement his vision. Under August Kesseler’s leadership, Schloss Reinhartshausen was transformed into an enchanting 5-star-hotel. When Willi Leibrand died, in 1999, entrepreneur Dieter Bock, together with a group called the „Freunde von Reinhartshausen” (Friends of Reinhartshausen) purchased Schloss Reinhartshausen from the Leibbrand estate. 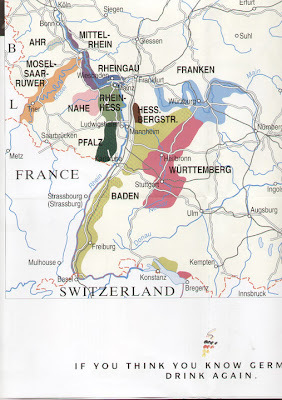 The vineyard area totals 100 hectares, with holdings in: Erbach (Hohenrain, Marcobrunn, Rheinhell, Schlossberg = monopole, Siegelsberg sites), Hattenheim (Nussbrunnen, Rheingarten, Wisselbrunnen), Kiedrich (Sandgrub), Rauenthal (Wülfen) and Rüdesheim (Bischofsberg). Schloss Rheinhartshausen is the largest privately owned winery in the Rheingau. More than 80% of the vineyard area is planted with Riesling. The remainder is planted with Chardonnay, Gewürztraminer, Kerner, Müller-Thurgau, Sauvignon Blanc, Silvaner, Pinot Noir and Pinot Blanc. The estate is a member of the VDP association. The Mariannenaue island in the middle of the Rhine river, with its two vineyard sites Erbacher Rheinhell and Hattenheimer Rheingarten, is located right in front of Schloss Reinhartshausen, and stretches out to the west as far as the neighboring village of Hattenheim. With an area of 89 hectares it is the largest island in the Rhine river. We were welcomed by the former General Manager of Weingut Schloss Reinhartshausen, Dr. Karl-Heinz Zerbe, in the courtyard of Schloss Reinhartshausen with a Secco sparkler from the Mariannenaue. We then went over by boat - "Prussia's Gloria," the last of the Prussian gunboat fleet – to the island and toured the island. The vineyard area totals 23 hectares. With 8.5, the pH value is high on the island (normal is 7). “Because of the high ph values, coupled with the specific micro-climate, Riesling, Pinot Blanc, Chardonnay and Sauvignon Blanc do very well here” said Dr. Karl-Heinz Zerbe. The wines of Schloss Reinhartshausen are offered in 7 groups. (1) Trockene Weine – Dry Wines: About 12 wines. The entry level wine costs Euro 8.90. (2) Erstes Gewaechs – Premier Growth: 2 Erstes Gewaechs wines for Euro 25 and Euro 33. (3) Feinherbe Weine – Off-dry Wines: 4 wines. (4) Weine mit dezenter Suesse – Sweet-style Wines: 4 sweet-style Kabinett and Spaetlese wines. (5) Rotwein & Weissherbst – Red Wine and Rose – 4 Spaetburgunder wines, with one aged in barrique, for Euro 14,50. (6) Sekt – 4 Sparkers including a Secco from the Mariannenaue island for Euro 7.50. (7) Edelsuesse Raritaeten – Noble-sweet specialties: 12 noble sweet wines from the 2001 to 2009 vintages. The 2003 Erbacher Schlossberg Trockenbeerenauslese in the 0.375 liter bottle for Euro 192 is the most expensive one. The afternoon ended with a wine tasting.